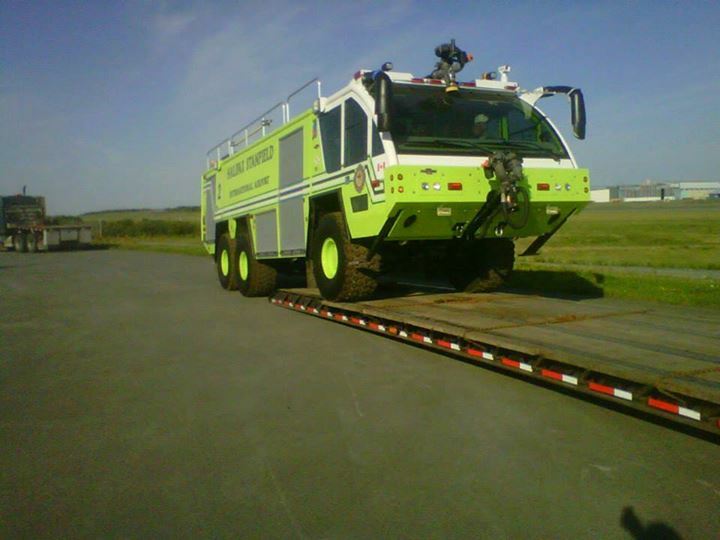 The first of two new Rosenbauer Panther 3000 fire trucks was delivered to YHZ On Aug 16th. Rosenbauer is a us Firm that makes all sorts of fire apparatus, but has a line of specialty airport equipment which is in use all over north America. Rosenbauer provided these photos (below) on their webpage. Hopefully the equipment stays shiny and new, and only gets pulled out for Photo Ops. This entry was posted in Aviation, Uncategorized and tagged new, oops, yhz on August 28, 2013 by Peter.